Author Alex Haley stated that to be raised right in Mississippi meant to sit at the feet of your elders after Sunday dinner and hear stories about the ancestral past. There are precious few elder musicians still alive who were present at the birth of the blues in the Mississippi Delta in the 1930s. 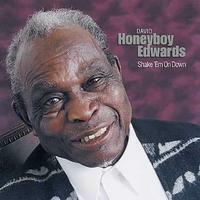 Sit and meet 84-year-old David Honeyboy Edwards.